Modeled on the typical combat knife used by military forces, this Soldiers Fighting Knife Necklace puts the shape of a blade around your neck, acting at times as an accessory, and at others, a reminder of those soldiers who fight for your freedom. 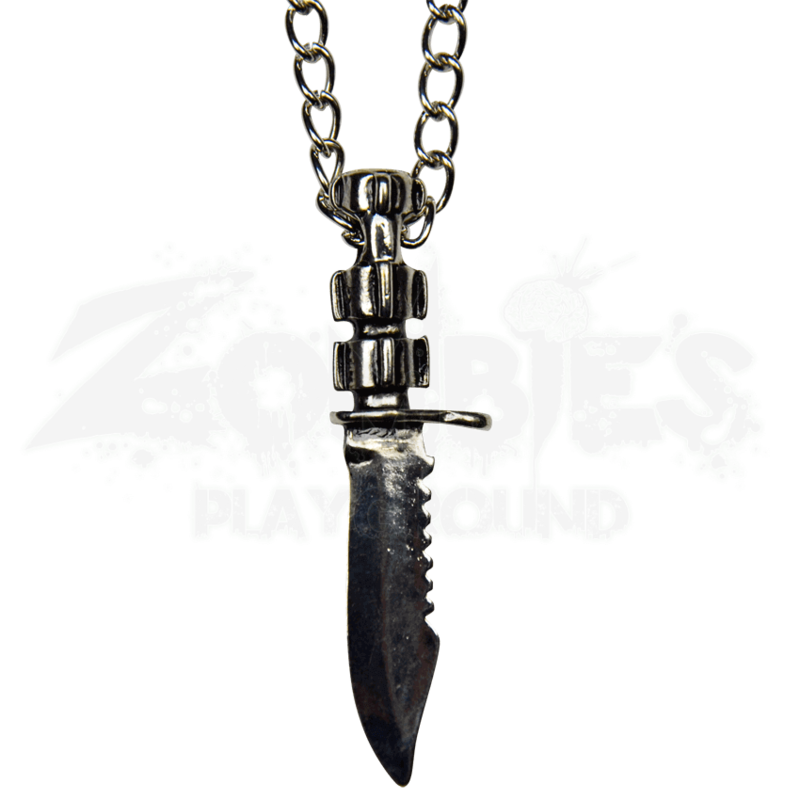 This necklace is crafted entirely from quality metal and features a classic knife shape, possessing a curved, clip point blade with serrations on the back edge and an extended guard that would serve well for adequate zombie defense on a larger, more functional knife. Passed through the miniature blade handle is a 20-inch long chain that keeps the knife located securely around your neck at all times when worn. Please note that the blade of this little knife is not functional and is not designed to hold an edge, as it is purely for decoration only. 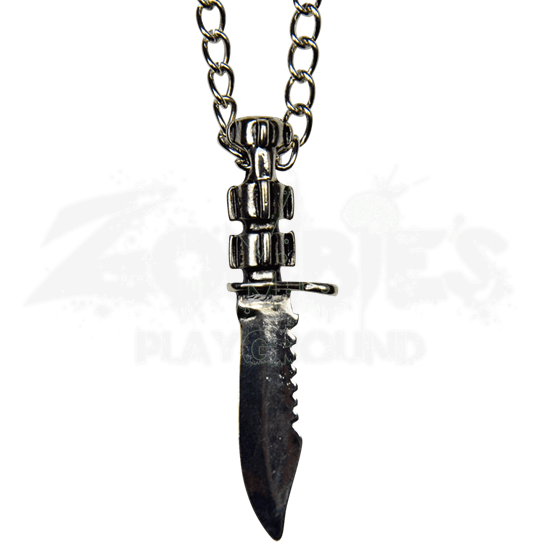 This Soldiers Fighting Knife Necklace is a great addition to any soldier style, whether they are fighting out in the field against living or undead adversaries, as well as a great personal accessory or gift to give to those who remain at home, allowing them to show off their readiness and their military style.